eProducts- Value added products for building culture of efficiency & effectivity. This book defines 5S in a very simplistic manner. Keeping human behavior in mind, author has used different types of tools like comic, games, case study etc. The book is leaving long lasting impact on learning of managers & shop floor persons. 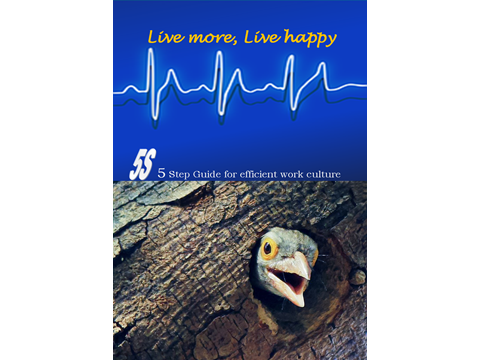 This book is best training mode & best gift for the team to understand methods & benefits of 5S tool in efficiency building of an organisation.This book will provide a spark in team members to look from improvement at their work place. eProducts, In electronic form the book is available to everyone. Cost of eBook is $2. Please make payment by clicking on below link. Send transaction number/screenshot on info@breval.co.in. The softcopy will be mailed on same day.